UPDATE: I got a very nice and apologetic note from Napoli Villa’s manager yesterday. He acknowledged several of the problems I noted in this review. He also assured me the wine mistake was a probably ‘lack of knowledge’ which I assumed. He offered a gift card, which I politely declined. I thanked him for his prompt attention and assured him I’d return to the restaurant. It was exactly the kind of response good restaurant owners should give when something goes awry! BEECH GROVE, Indy – There is nothing more disappointing and frustrating than an old favorite restaurant losing its way. Napoli Villa in Beech Grove, Indianapolis’ southside, has been a bedrock of traditional Italian cooking since the 1960s. I’ve gone there for the simple, sweet red sauce, crispy calamari, savory soups, and homemade pasta for several years. During a Friday May 9 visit, the number of errors was really hard to overlook. I can forgive an untrained waitress or undercooked/overcooked food, thin sauce, or a lack of wine knowledge. But when you put all of that together, and a few other mistakes, the dinner experience was far below this charming little spot’s normal standards. From the top, our pleasant young waitress was slow getting our calamari to the table but then delivered the soup before we had barely touched the appetizer. Okay, no big deal. Then while tasting the admittedly delicious-as-always appetizer and soups, my dinner companion and I realized we didn’t have the bread we always enjoy and promised on the menu. We had to ask. The nice young lady delivered the yummy homemade bread and we dig in. The bread turned out to be substantially underbaked – to the point you could see doughy chuncks on a few of the pieces. Through the first half of our meal the young lady brought dishes on three occasions without clearing the dirty dishes away. Reliable Ruffino, but not the Classico. Our entree’s had issues. 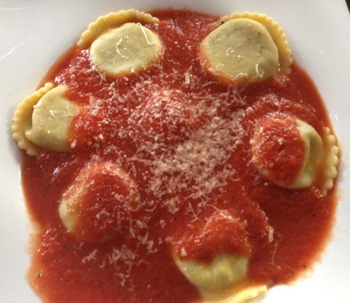 My friend usually has a veal/proscuitto dish while I enjoy Napoli Villa’s ravioli. My ravioli was perfectly cooked with tasty sausage inside. But the signature red sauce was watered down – literally tasted like it was thinned with water. The veal dish was disappointing with a poor quality cut of veal while the proscuitto was incredibly tough. The coup de grace actually happened early on. The wine list had a limited selection of Italian wines but a couple of different Chianti wines. 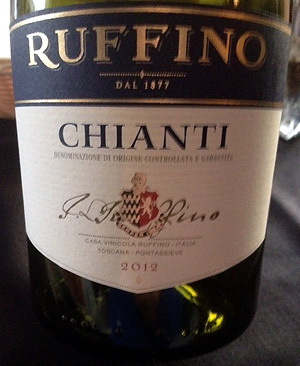 I selected the widely-available Ruffino Chianti Classico. The waitress delivered the wine and it appeared to be a Chianti. Not the end of the world but not what I ordered. And as any wine enthusiast knows there is a price difference. The young waitress had no idea what I was talking about so I just accepted the wine. I blurred face – eating at bar. The problems were widespread. 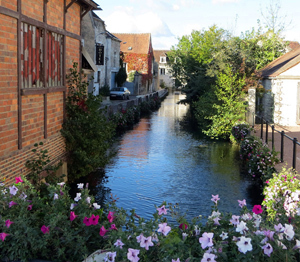 First, I didn’t blame the young waitress for her errors – though some common sense appeared missing – I blame management for poorly training the wait staff. The young lady also appeared to have tables at each end of the sizable dining room. 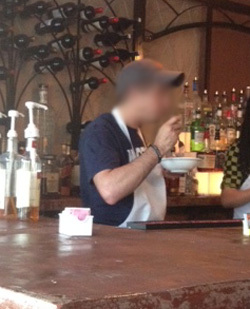 During our dinner a kitchen worker wandered behind the busy bar in our dining area and consumed a bowl of food. We’ve had so many positive experiences at the Beech Grove icon we will go back. The restaurant was quite busy but they won’t be if these errors continue to occur. I’ve never been this disappointed with a favorite spot. The railroad town’s Italians have gone off track.